Welcome to Issue #30 of Off-by-none. I’m glad you could join us. I know this is a bit late this week. I’ve been working on the launch of AlertMe’s new serverless article matching system, and it’s been a lot of work. Should be live first thing tomorrow, so I’m looking forward to that. Last week we recapped some of my favorite things from ServerlessDays Boston, and then we face-palmed on some more talk of #NoOps. This week, we’re going to look at the new Event Fork Pipelines, explore the underlying security model of Lambda, and serve up some more amazing content from the serverless community. AWS announced “Event Fork Pipelines” in this Enriching Event-Driven Architectures with AWS Event Fork Pipelines post. The post outlines a suite of new open-source Nested Applications that can be easily plugged into your SAM templates or launched directly from the Serverless Application Repository into your account. I highly suggest reading the post so that you understand what each of the three pipelines can do, but I wanted to take a minute and highlight the underlying pattern that makes these pipelines possible. The diagram below is showing the “event fork pattern”, or what I’ve called the Distributed Trigger or Distributed Queue pattern in the past. This has become a very common pattern (I’ve been using it more and more myself lately) because the reliability of SNS to SQS is insanely high. SNS will literally try 100,010 times to deliver a message to SQS for up to 23 days, making it the perfect buffer to not only throttle events, but to increase their durability as well. Lambda functions are subscribed to the underlying SQS queues that then process the events and move on. The benefits of these repeatable patterns expose a larger architectural design for your serverless applications. It’s not new, but for many, it is a different way to think about how data flows through your (now distributed) system. I really love how AWS has productized these patterns to make it easier for people to just plug them into their applications. If you plan on building a resilient and scalable serverless system, this is how you should be designing your event workflows and pipelines. We’re seeing more and more use cases for data science using serverless tech. Now there’s a new service from Rockset that allows developers and data scientists to ingest all the popular semi-structured formats and automatically turn them into fast SQL tables. Need to automatically grab and aggregate some data every time a resource is updated? Anna Spysz from Stackery wrote up a nice little post about how they use serverless to generate their public changelog. If you have any Perl scripts lying around (maybe check your cgi-bin), then why not move them to a Lambda function? Well, maybe not. But if you really want to, Andy Powell will show you the way. S3 is great place to drop your files, but it isn’t searchable. This great post from Jon Handler will show you how you can use Elasticsearch to map and index your blob storage. George Kampanos built a globally-distributed, serverless website for his dad’s restaurant. It not only costs them $0 per month to run, but it also gave him time to make some great GIFs for the blog post. If you want to build a serverless chatbot service equivalent to what AWS Lex and Dialogflow offer by using “Snips NLU” and some Python, check out this post by Alex Yu. Service status pages are a must for any SaaS business, and Kev Jackson show us how serverless is perfect for creating highly-available dashboards for you and your customers. Woonki Moon has some thoughts on what’s the best way to avoid cold starts, if you’re super worried about them. Psst, you probably don’t need to worry about them. Renato Byrro from Dashbird also shares some insights on cold starts. He even mentions my Lambda Warmer package that can make your life easier if you really, really, really need to keep your functions warm. But again, you probably don’t. This is actually a really common question. John Papa throws out some best practices for setting up your serverless applications using Azure. Plenty of concepts in here that translate across providers. Another common question. Pubudu Jayawardana shows you some limitations you need to consider when running lots of Lambda functions simultaneously. Did you know the AWS SDK has a default timeout of two minutes? Thomas Michael Wallace gives you some tips to grab a bit more control. 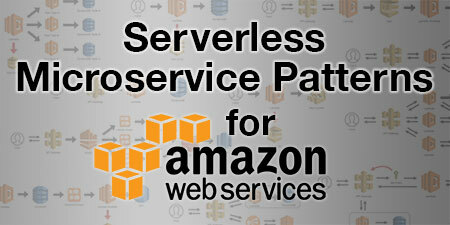 Let Jarett Engdahl walk you through setting up a serverless API using the Serverless Framework and deploying it to AWS. Peter Swain outline five serverless tools he can’t live with out. TLDR; you need a CDN, framework, observability tool, NoSQL database, and tools to help with local development. I can serverless, and you can too! I feel like we’ve already mentioned a few of James’ posts this week, but if you want to learn how to be a great product manager AND use serverless, his stuff is always great. Alex DeBrie has another great post that gives you the what, why, and how of CloudFormation macros. These can come in very handy when building your serverless applications. What do you do when you need to share resources like VPCs, SQS queues and RDS databases across multiple serverless applications? Yan Cui gives us some good reasons to use Terraform in combination with Serverless to manage your AWS infrastructure. Another “how-to-create-a-lambda-layer” post, but this time Norm Johanson shows us how to do it with .NET Core. Ivan Klishch outlines a number of solutions for running Lambdas to process high concurrency workloads. Learn how to set up an Amazon Cognito user pool and how to use it to perform authentication for both your Alexa skill and a webpage. Matthew Lewis helped co-organize the first ServerlessDays event in Wales, and somehow lived to tell the tale. 😂 I know how much work it is to plan a conference like this, but this retrospective is sure to help others along the way. Excellent post by Adam Clark that outlines his company’s journey to serverless. Asdullah Siddique outlines the solution that uDroppy used to handle the high-volume of image processing needed to serve their customers. AWS recently published a whitepaper that does an awesome job of digging into all the nuts and bolts of Lambda. If you ever wondered about the isolation model or the Invoke Data path, it’s all in here. Key point for me was that as of March 2019, Lambda is compliant with SOC 1, SOC 2, SOC 3, PCI DSS, HIPAA, and many more. I get a lot of questions about that. This is definitely worth the read. 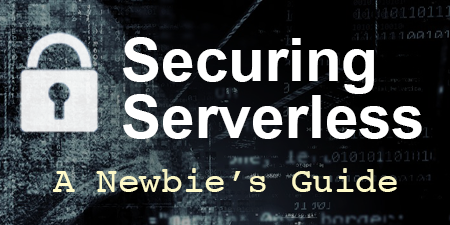 Speaking of serverless security, Kirill Kolyaskin outlines a number of important factors for making sure your serverless applications are secure. Mikhail Shilkov explore the execution concurrency models of three FaaS offerings and the associated trade-offs. Zac Charles is at it again with another great post. This time he’s testing out the new Amazon.Lambda.RuntimeSupport library for using newer versions of the .NET runtime. You can now use AWS Config to record configuration changes to Amazon API Gateway. Definitely useful for operational troubleshooting, audit, and compliance use cases. You can now control access to enable and disable new AWS Regions for your AWS account with IAM permissions. So when you give your developers keys with star permissions that inadvertently get checked into source control, hackers can only exploit one region. This release features improved accuracy for gender identification, emotion detection and attributes such as “EyesOpen”. March 29, 2019 – ServerlessDays Amsterdam is this Friday. You can still get 50% off ticket prices by using the Off-by-none discount code. 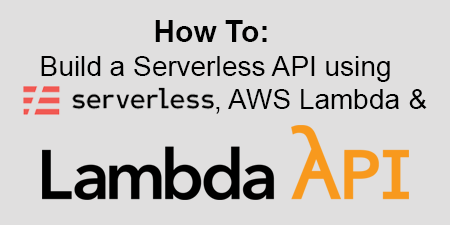 April 2, 2019 – James Beswick is giving his Scared Serverless talk at the Southern Maine AWS User Group. April 8-10, 2019 – The Serverless Architecture Conference is from April 8-10th in The Hague, Netherlands. And don’t forget that I’m speaking. This week’s star is Nitzan Shapira (@nitzanshapira). Nitzan is the co-founder and CEO at Epsagon (@epsagon). Not only is he leading the team that built an amazing distributed tracing product that helps you monitor and troubleshoot your serverless application, but he’s also active in the serverless community. You can find him publishing articles on his blog and the Epsagon blog, plus you’re bound to see him speaking at a conference somewhere. Nitzan is also an organizer for ServerlessDays Tel Aviv, which takes place on June 4th of this year. He also gave me a great “I see dead functions” shirt at ServerlessDays Boston 😃. Thanks for all you do Nitzan! It was an extremely busy week for me and the team at AlertMe as we are getting ready for a big internal launch, but I’m glad I was able to stay plugged in to all the serverless happenings. The Event Fork Pipelines announcement and the Security Overview of Lambda are really important (IMO) to the continued push for serverless adoption. Transparency and education is what the serverless community is all about, and it’s great to see AWS’ and others’ commitment to that.